Hans von Spakovsky was called as a voting fraud expert. 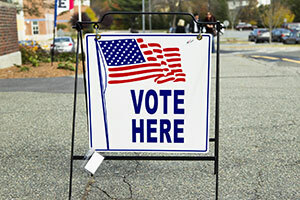 He testified that noncitizen voter registration is a substantial issue and in support of a Kansas law that requires voters to provide proof of citizenship. Von Spakovsky pointed to cases in Kansas and hundreds of allegations of noncitizens on the voter rolls that date back to the 1980s. Hans von Spakovsky is a senior fellow at the Heritage Foundation and has written a book on voter fraud called Who’s Counting? : How Fraudsters and Bureaucrats Put Your Vote at Risk. Von Spakovsky opined that using other methods to identify non-citizens would be insufficient because they would be unable to identify illegal immigrants. Von Spakovsky warned that the possibility of being prosecuted for voter fraud does not deter voting by non-citizens because the United States essentially uses “an honor system” for its elections. The ACLU challenged von Spakovsky on his qualifications and credibility as an expert. Von Spakovsky’s resume includes serving along with the Kansas secretary of state on the commission on voter fraud that President Donald Trump set up, but has subsequently been disbanded. Von Spakovsky also worked for the U.S. Department of Justice during President George W. Bush’s first term. The Director of the ACLU’s voting rights project, Dale Ho, asked von Spakovsky whether the research for his book, Who’s Counting? : How Fraudsters and Bureaucrats Put Your Vote at Risk had been peer-reviewed. Von Spakovsky responded that he is not an academic, so he does not use the peer-review process. Ho questioned von Spakovsky about his expert report, his understanding of voter fraud in Kansas, and his knowledge of specific instances of alleged fraud. Under Ho’s questioning, von Spakovsky admitted that his understanding of voter fraud in Kansas came from a spreadsheet that had been prepared by Kobach’s office.